Emily’s white board had been in place for three days when I got the call. The tone in her voice was quite cheery. “My team is absolutely amazing,” she reported. “The first day was tough because production was pretty much the same as before. The daily target was 175 units and we only managed to produce 86. I thought the team would implode, but when I got to work the next day, they were all there early and the line was already running. Instead of shutting down the line for break, they took breaks one at a time to keep things moving. We still only got 110 units, but they saw the improvement. Yesterday, they changed a couple of more things and we produced 140 units. “And, what about your morale problem?” I asked. 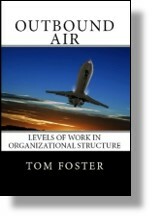 This entry was posted in Competence and tagged competence, mastery, productivity on November 10, 2017 by Tom Foster.